When I was young I wanted a tree house, I begged my father who was very capable of building one, to do it…but being the young child I was I didn’t really understand that we didn’t have a tree sturdy enough to support one. I must have really been annoying, I would proffer all sorts of solutions, but alas none were acceptable. Friends who lived further up in the bush where I grew up had a real tree house…I was so envious. 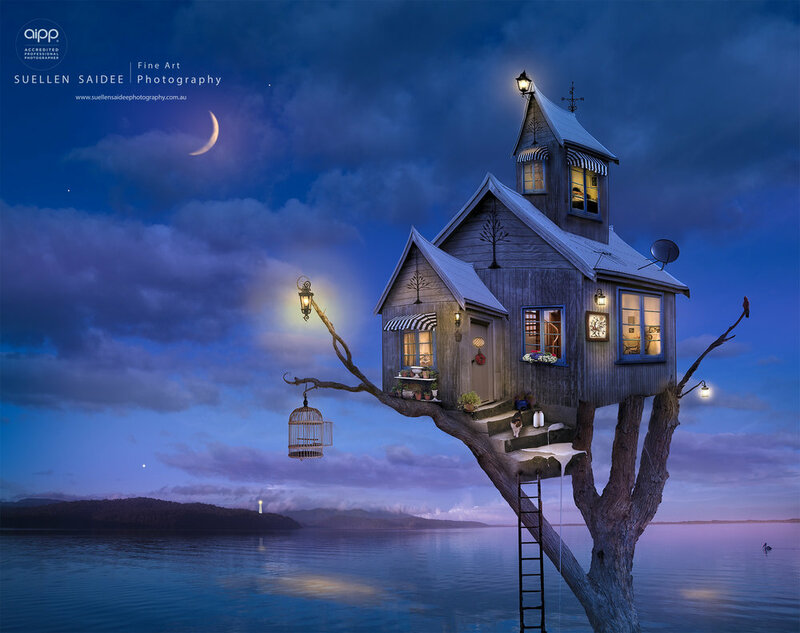 I have always wanted my own tree house. As the years moved on, I left the old chook shed behind. When I wanted to buy a house I wanted one with stairs (so I could pretend I was in a tree house) but when I got it, those stairs became a nuisance. I perhaps should have seen it as a chance to get fit, but really they became a burden due to the layout of the house no doubt. I have now passed the point where I look back and long for a tree house, I still want one, but I don’t need one.